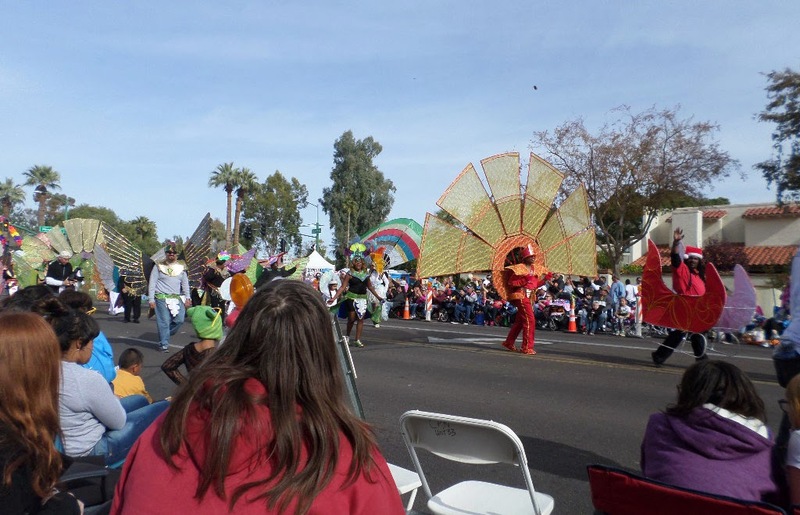 Scribbles In the Sand........... My Desert Diary: The fiesta bowl parade and Christmas is over. 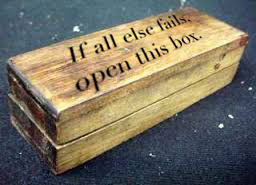 I didn't open it. I like to keep my options open. Last Friday, Chloe left for winter camp in the mountains of California. She's been traipsing through the snow, and warming herself by the fire for the last few days. In the meantime we spent Saturday with some friends. They live on Central Ave. and every year at this time The Fiesta Bowl parade goes marching past their door. It's a huge parade, so they set up many chairs along their curb and they throw a big party at the same time. The Tostitos people were handing out chips and dips. The clown car was quite a sight! Followed by the huge VW Van (also full clowns). The Fort McDowell float was amazing! Little critters were even sculpted into the side. These ladies grew tired of seeing all the empty chairs from the party (lots of people were inside eating, drinking, and believe it or not watching the parade on TV), so they sat in them. This marching band was from Pittsburgh and these guys looked like they were ready to pass out from the heat (it was about 75ºF). The Native American baby balloon. One of the local tribes. An airplane with silly face... This one's from US Airways (there were at least 2 others from various airlines). I had no idea this city was protected by so very many "Ghost Busters"! Of course they're nothing without their truck. Speaking of feeling protected, the Justice League was out in full force. Mr Freeze was probably ready to melt. (I, of course, got a sunburn even with a liberal coating of sunscreen on). More supers. I think I see Thor. A cactus floating past (This happens a lot at parades in Phoenix). A group from the Caribbean. I think this was Miss Arizona or something. Wild West Cowboys? Something like that. And finally, this is the USS Arizona. They drag this out for every parade. 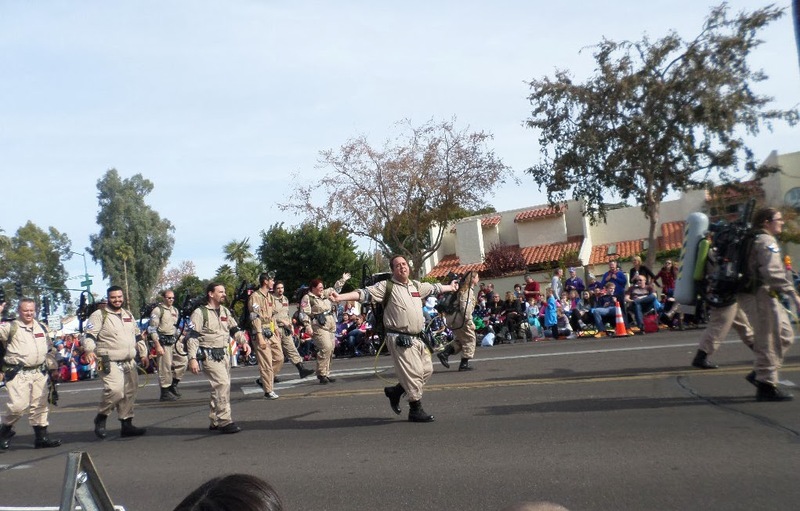 I even have a photo of it on this blog from the Veteran's Day Parade last year. It does photograph well though. There was a lot more to this parade (it's like 3 hours to watch it! ), but we decided to go in and eat and socialize at the party after a while. Definitely the way to watch this parade!